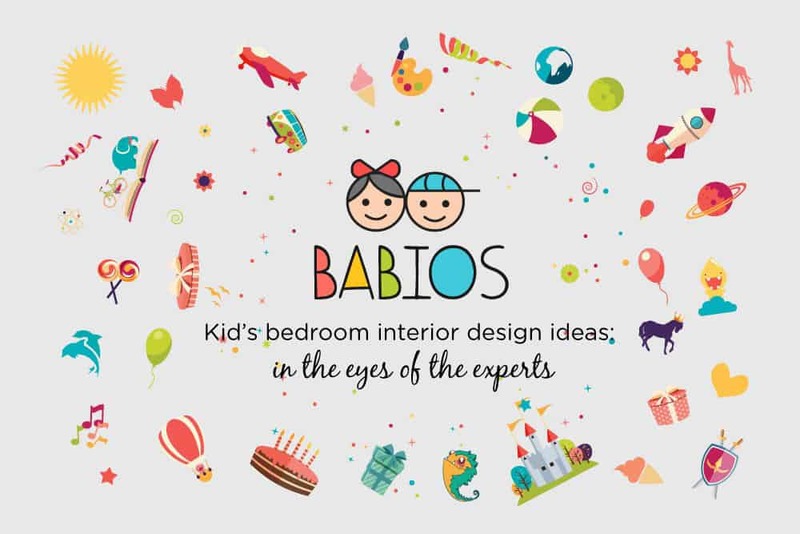 We were delighted to collaborate with children’s furniture experts Babios for their fantastic feature on Kid’s bedroom interior design ideas – in the eyes of the experts. Understanding the difference between how lighting can be used will help create the perfect lighting balance in your home. We discuss the difference between ambient, task and accent lighting. 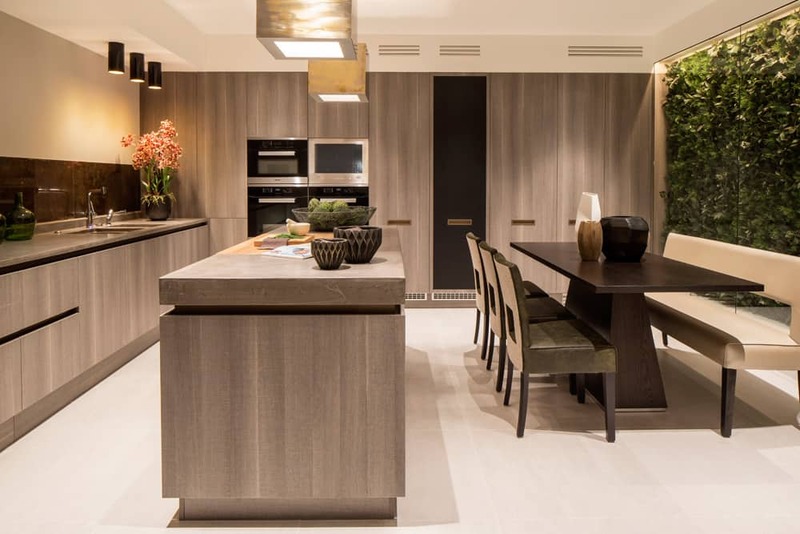 Spring is in full bloom as is the Chelsea Flower Show and a celebration of floral design at the Design Centre, Chelsea Harbour. 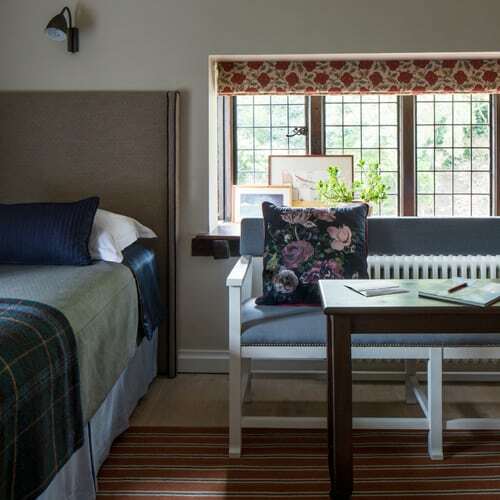 So we’re joining in the floral festivity with a look at how we’ve welcomed floral fabrics into a some of our residential projects. 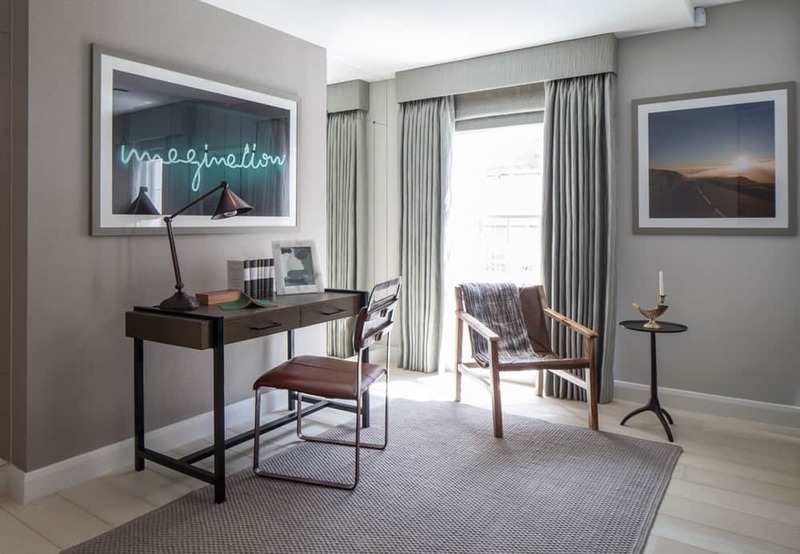 Make working from home a pleasure in a study that is not only well-appointed and functional but that suits your personal style and serves as a chic, stylish workspace. Flowers not only brighten and often completely transform a space but can entirely lift your mood. With spring in the air, we look at ways to decorate with flowers to brighten up your home. 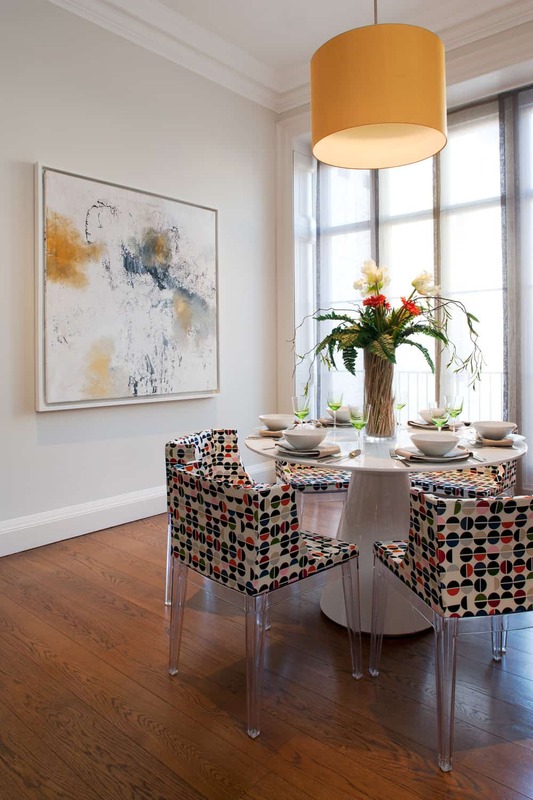 A few considerations can help turn a large open space into a welcoming and chic area for entertaining. 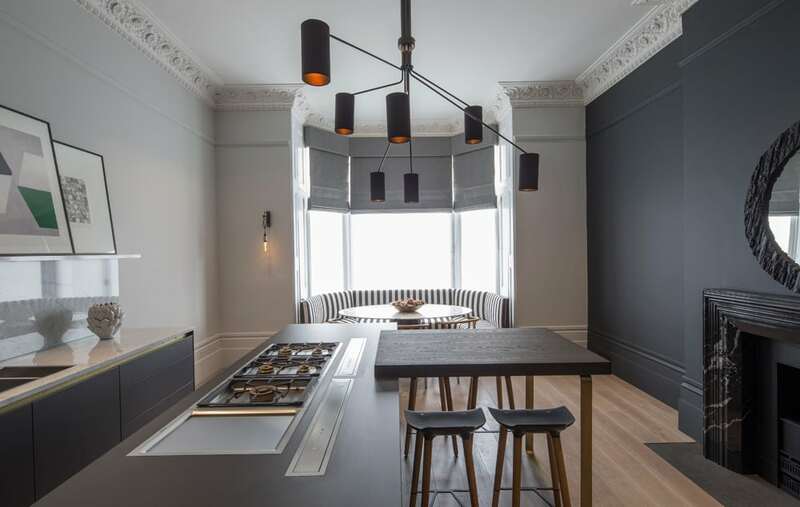 We share our top tips and advice for designing open-plan spaces. 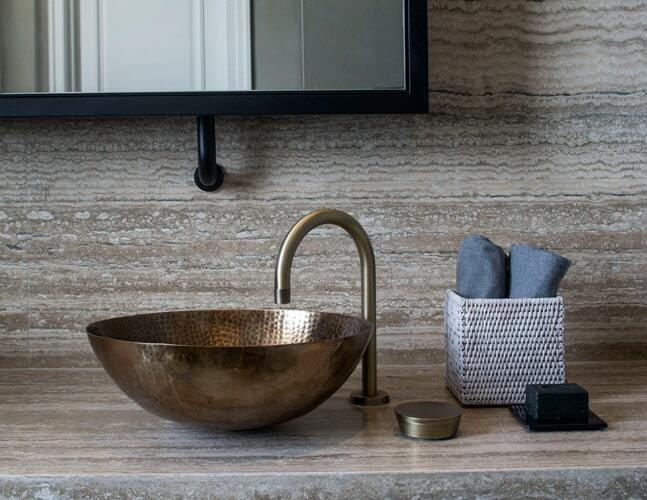 We’re somewhat drawn to the ancient Japanese philosophy of wabi-sabi as it embraces authenticity at its core and appreciates the integrity of natural objects and processes. Here are a few tips on how to embrace wabi-sabi design in your home. A bedroom should be a sanctuary where you can enjoy rest and relaxation. 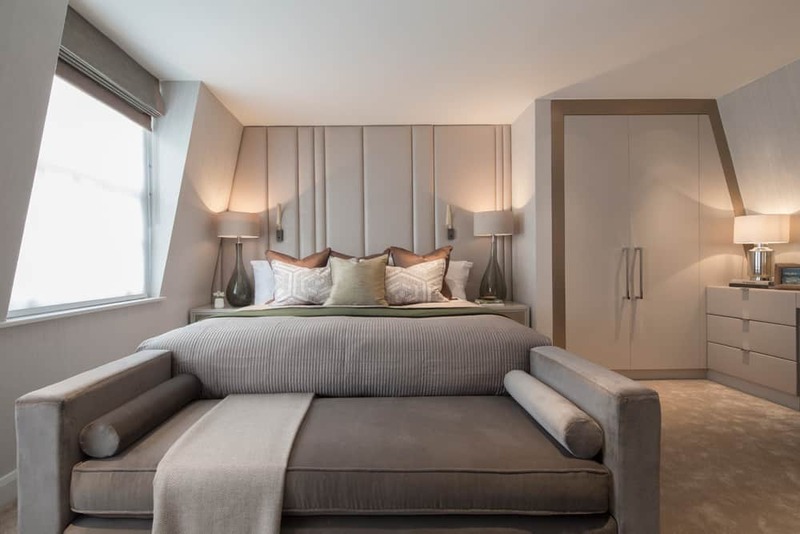 We share a few suggestions for creating a personal space where the design scheme works in harmony to exude tranquility and sophistication.